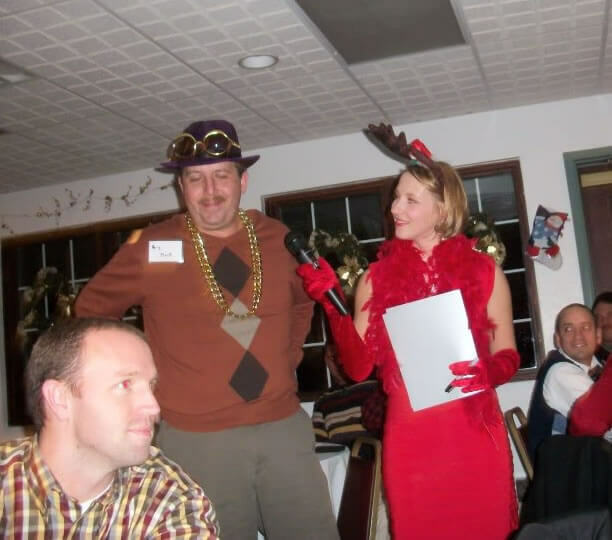 Company Christmas Party Ideas | The Murder Mystery Co.
Searching for truly unique company Christmas party ideas? 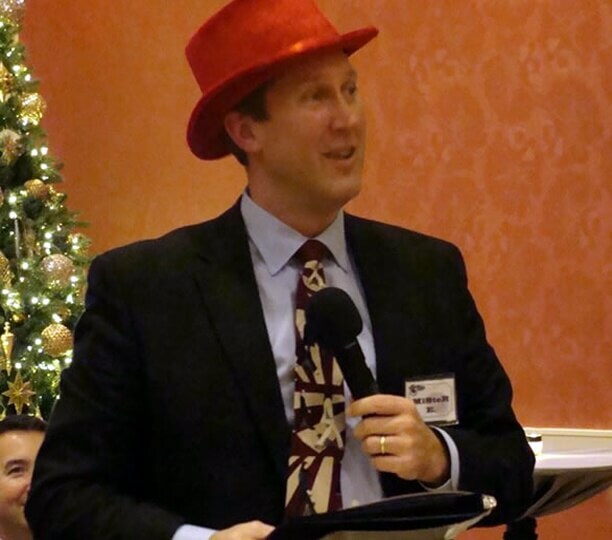 We’ve got a killer way to celebrate the holiday season with your colleagues, so plan your office Christmas party with The Murder Mystery Co. today! 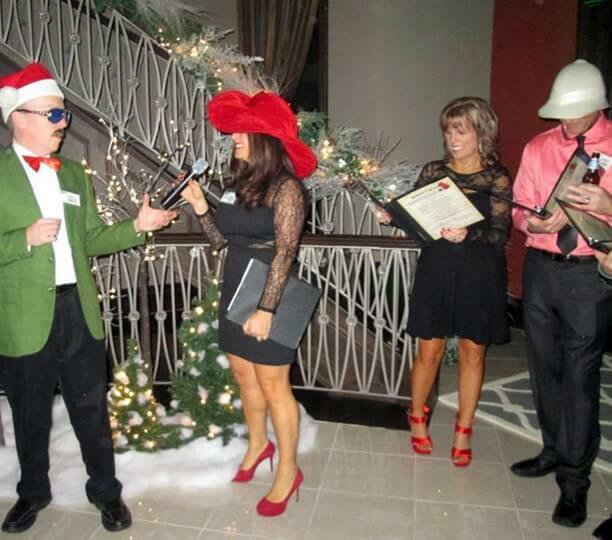 A live-action murder mystery party is the #1 holiday party idea for work groups across the nation. When it comes to generating ideas for the annual company Christmas party, it can often seem like they've all been done one too many times. That’s where we come in! 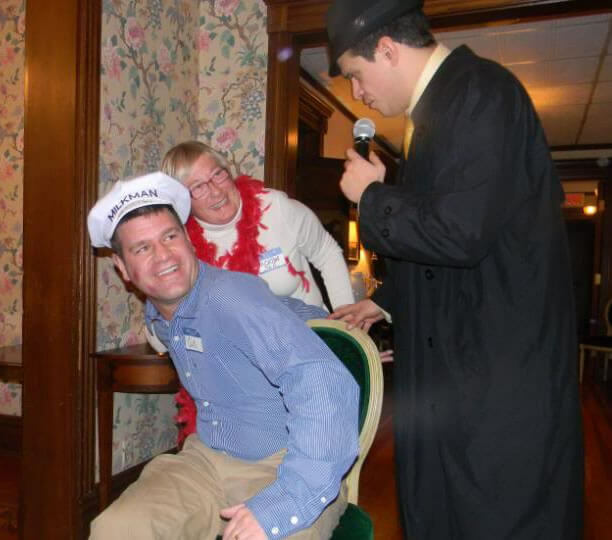 Our signature style of comedic whodunnits has just the perfect balance of being tried-and-true yet still unexpected, leading to the ultimate idea for company Christmas celebration. 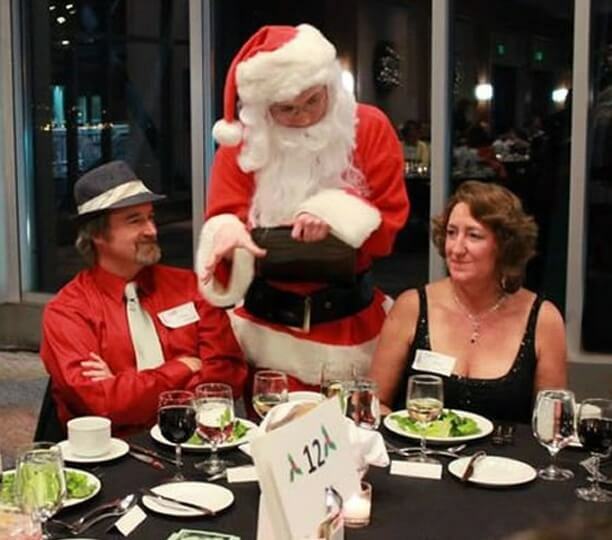 Whether you want to select a special holiday theme or stick to one of the classic whodunnits, you’re definitely in for the office Christmas party of a lifetime! Your upcoming festivities with your co-workers will become the most talked about Christmas party around the water cooler. As a cooperative case-cracking experience, everyone in attendance will be tasked with solving a crime, leading to a lot of holiday laughs and a bunch of teamwork. Many of the office suspects in the crime will even be played by your office co-workers themselves, which means this company Christmas party will be totally immersive and will keep everyone having fun until the end. 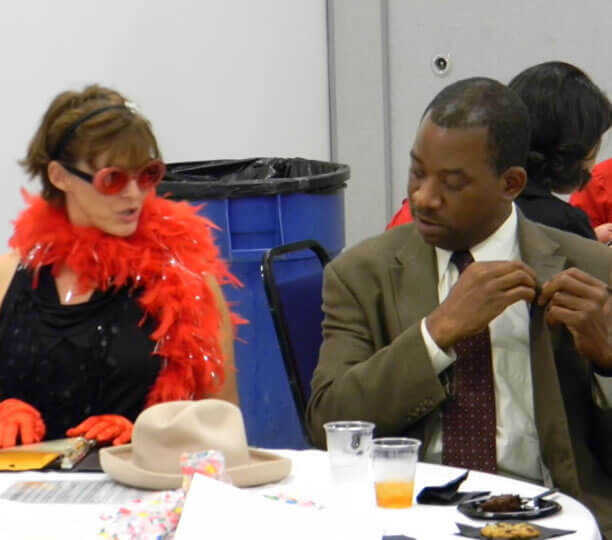 No one will forget the time they got to play a shady suspect or a daring detective while at a work party, and with a special holiday twist, it’s just the kind of memory they will want to hold onto forever.